July 5, 2014 July 10, 2014 Chlohemian2 Comments on New blog! When I studied abroad at Universitat Ben-Gurion in Be’er Sheva, Israel in 2012, I tried to keep a regular blog. 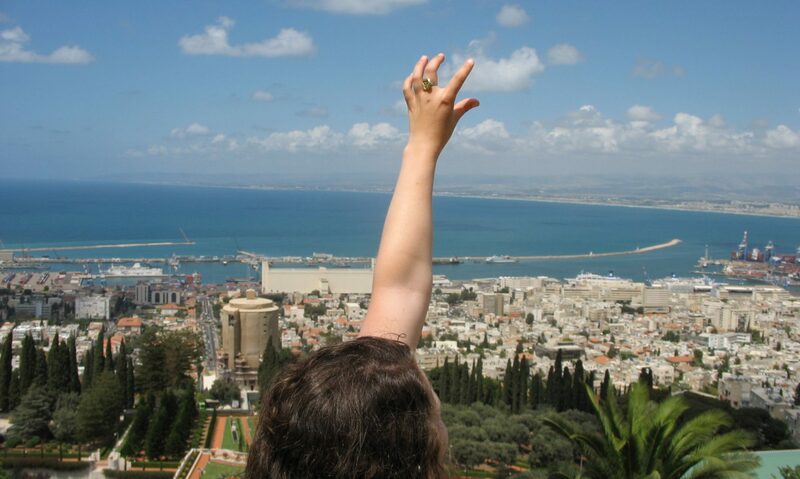 It was named “Shai for the Semester” (http://chloeshaidoesisrael.wordpress.com) after my Hebrew name שי. It was going great at first, I loved blogging, but the experience was altogether to overwhelming (in the best possible way!) for me to keep going for longer than a couple months. I was too busy soaking up the dry Negev heat, learning Hebrew, and having beautiful adventures to keep to my obsessive, picture-laden posting. WIth that experience under my belt, I now understand the commitment that a travel blog takes- and I am returning to it this time with more determination! I will be leaving on August 20, 2014 to teach English through Fulbright in the Czech Republic. This journey is an outgrowth of my decision not to have a traditional path- to study abroad in Israel during my senior year, stay longer to finish my Anthropology thesis, and graduate with the desire NOT YET for higher ed, but to explore myself further through travel. I will be based in Tišnov, a small town outside of second-largest city Brno, from September to the end of June, 2015 [I know, Czech is hard. I’m here to walk you through it. Say with with me: Tish-nahv. Burr-noh]. Then I plan to travel for at least two months with the money I’ve saved up. Aaaand hopefully…more adventures, and further ways to prolong stodgy adulthood, will be waiting for me. I used to be extremely shy. Ironically, I solved my social anxiety (and germaphobia, haha) through travel. Pushing myself out of my comfort zone into a situation with no established support system worked for me- I was forced to socialize, I felt energized and revitalized by people and sights and excursions. My drive to write poetry was shocked into hibernation for a while. Then, when I began to write, I was processing my emotions in a way that was, truly, never before possible. People have been asking me if I’m afraid to leave. NOPE! This decision feels 100% right. Now, I look at leaving my comfort zone as “been there, done that.” I believe in myself. I don’t know what’s coming; I only know that it will be really, really good. Wow. This takes a lot of courage Chloe. Can’t wait to hear more…this is dope.